Politicians, policy makers, and media commentators, take note: people want wind energy. The verdict came on Tuesday, when renewable energy supporters went head to head with anti-wind energy campaigners in the nation’s capital. Led by right-wing shock jock Alan Jones, an anti-wind farm rally at Parliament House failed to draw a crowd. A meagre one hundred people showed up to rant and rave about wind energy. “Much larger crowd” was an understatement. In Garema Place, the people’s centre of Canberra, up to one thousand people joined Friends of the Earth and GetUp!’s Rally 4 Renewables. The rally’s speakers included Greens Leader Christine Milne. She questioned why only English speakers suffered from the so-called “wind turbine sickness,” referring to the research conducted by Simon Chapman and Fiona Crichton identifying the real cause of symptoms as the anti-wind campaigning that occurs predominantly in English-speaking countries. From Waubra, wind farmer Karen Molloy shattered the myths propagated by the Waubra Foundation– the organisation behind claims of a wind farm noise disease. And the mayor of Ararat (the proposed site of up to 75 new turbines), Genda Allgood, questioned the legitimacy of the the anti-wind movement. Waubra wind farmer Karen Molloy speaks to 1000 people at the Rally 4 Renewables, Canberra. Meanwhile, on the other side of the capital, the “Wind Power Fraud” rally was struggling; Alan Jones playing MC to a handful of rogue Coalition and marginal politicians. Senator Chris Back spoke, admitting claims Victoria’s wind farms had contravened planning laws were unsubstantiated. Ron Boswell gave his usual vitriol, calling renewable energy a fraud. Also attending were the Liberal MP Craig Kelly and candidate Angus Taylor and renegade Victorian Senator John Madigan. Retiring Liberal MP Alby Schultz, who had promised to attend, failed to make it. Sources tell Yes 2 Renewables that shadow energy minister Ian Macfarlane implored Coalition members of Parliament not to appear at the anti-wind event. Anti-wind farm campaigners target Japan and India. In an additional blow to the anti-wind energy campaign, South Australian Senator Nick Xenophon pulled out at the last minute. Perhaps he realised that it was electorally imprudent to associate himself with the fringe movement. Yes 2 Renewables congratulate Senator Xenophon for distancing himself from the anti-wind energy campaign. If you have a few spare bob, we ask you to consider making a donation to the campaign. It’ll make a huge difference. 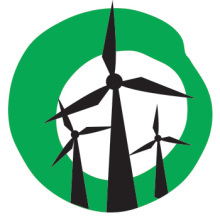 Follow Yes 2 Renewables on Facebook and Twitter. Click here to support Yes 2 Renewables!